Foreign shows enjoy a large viewership on Netflix. The culture and diversity these shows bring, keep the viewers hooked and wanting for more. The same is the case with Call My Agent, which is a French comedy that first premiered on October 14, 2015, on channel France 2. 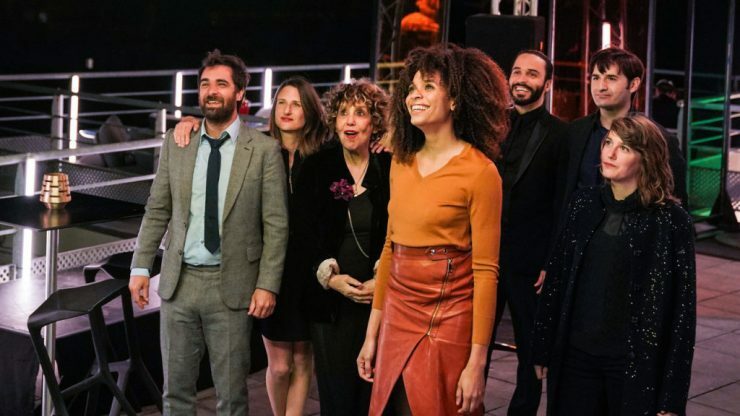 Netflix brought back the hilarious French series for its third season that premiered on January 4, 2019. The show follows the Samuel Kerr Agency and its agents as they struggle to stay afloat following the untimely death of its founder. It showcases the challenges these ASK agents face in their attempts to keep the company running. Cédric Klapisch, Lola Doillon, and Antoine Garceau, Laurent Tirard, Antoine Garceau, and Jeanne Herry are some of the directors on the show. Call My Agent has enjoyed quite a successful run for three seasons and was renewed for the fourth season to air sometime in 2020. Here’s everything we know about the upcoming season. Call My Agent Cast: Who is in it? At the heart of the show are four ASK agents (Camille Cottin playing Andréa Martel, Liliane Rovère as Arlette Azémar, Thibault de Montalembert in the role of Mathias Barnesville, and Grégory Montel appearing as Gabriel Sarda) working together to save the company that has suffered a terrible loss. The changing dynamics and roles bring a lot of chaos and entertainment on the show, and Stéfi Celma appearing as Sofia Leprince, Nicolas Maury playing Hervé André-Jezak, Fanny Sidney in the role of Camille Valentini, and Laure Calamy as Noémie Leclerc also share screen space to add to the plotline. The show boasts of famous French actors like Fabrice Luchini, Monica Bellucci and, Gerad Lanvin playing themselves in a self-mocking fashion. Call My Agent Plot: What is it about? Call My Agent is a fabulous mix of drama, comedy, and emotions. The show takes us into the often dark world of Showbiz. Each episode has one celebrity guest, playing themselves and the four main agents of the Parisian talent agency ASK. The four diligently try to bag the best contracts for their clients while forgetting the difference between professional and personal life. The show also addresses serious issues like sexual harassment and gender pay gap in the movie industry. It explores the uncomfortable reality of glamour. Created by Dominique Besnehard and Fanny Herrero, the show has a very authentic feel to it. The stories about the French movie industry are unabashedly candid. The guest celebrities manage to bring their charm while adding to the main plot of the series. Dominique Besnehard has drawn inspiration from his own experiences as a once famous agent. Celebrities are known for their whacky personalities, and the people who manage them are mostly at the receiving end of their tantrums. The show represents both the agents’ and celebrities’ perspective, and the viewer can connect with both sides. The celebrities showcase their vulnerability while keeping their glamour alive. Season 3 opens with Oscar-winner Jean Dujardin (The Artist) who has floored us with his incredible talent one too many times. The agents at ASK face a rather amusing time when they have to convince the actor to start his prep for his next movie where he stars as a banker, and yet the actor seems to be stuck in his last role, that of a wild man. The scene where the actor bites a dog to retrieve an item back from the animal is the highlight of the first episode. The season thus begins on a great note and viewers can rest assured that the episodes that follow have a great premise. If you enjoyed shows like Entourage and are a fan of foreign cinema, Call My Agent is a perfect fit for you. The show can also be described as an office-comedy like The Office, 30 Rock, or Parks and Recreation. among other amazing shows in the genre. The rivalry and competition between the four agents make for a great central theme. Call My Agent has enjoyed tremendous popularity and even won the International Emmy Award for Best Comedy. The French are known for their high fashion and melodrama. Call My Agent is a great combination of the two. Call My Agent Season 4 Release Date: When will it premiere? After the success of its first two seasons, the show was renewed for its third season that premiered on ‎Jan 4, 2019, on Netflix, and proved to be a roaring hit. As far as the next season goes, we have good news for the fans. Netflix has renewed the show for another season. In all likelihood, Season 4 is expected to release sometime in 2020. We will update this section as soon as we hear more. Netflix is now streaming all three seasons and if you haven’t caught it yet now is a great time to start. The series manages to retain its original storyline and format though fans will notice a few changes. The slightly different formula makes it all the more exciting. If you are not yet intrigued by the premise of this binge-worthy series, take a look at the official trailer of its debut season below. You can stream the entire season on Netflix.